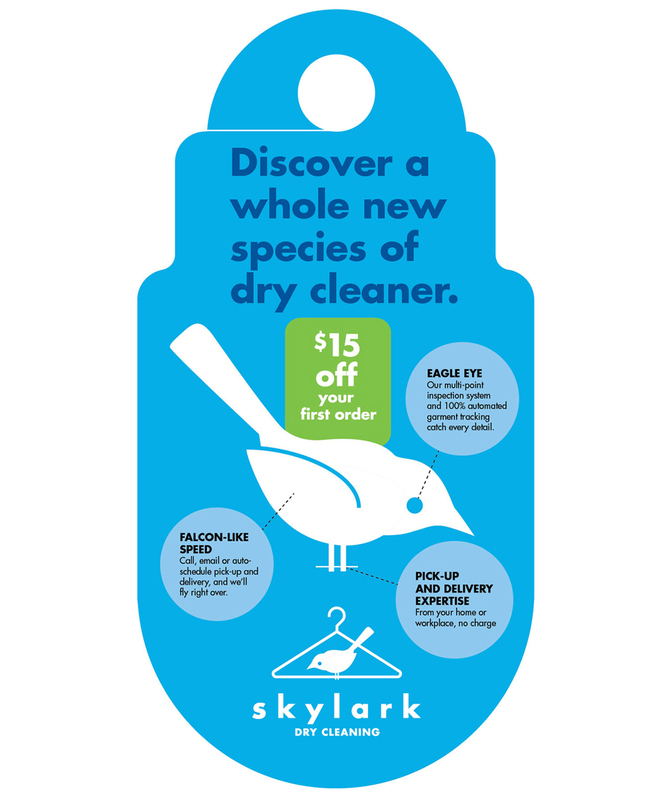 Skylark Dry Cleaning came to us as a start-up in need of a brand. 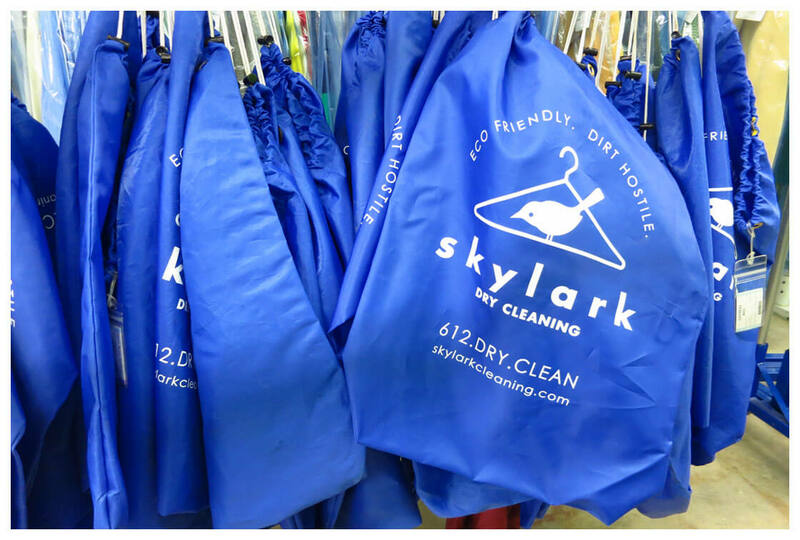 Their points of difference – convenient pickup and delivery, elevated service, superior cleaning – were many, but the biggest differentiator was Skylark’s 100% green operation, which was safer for customers, employees and clothes, and better for the environment. 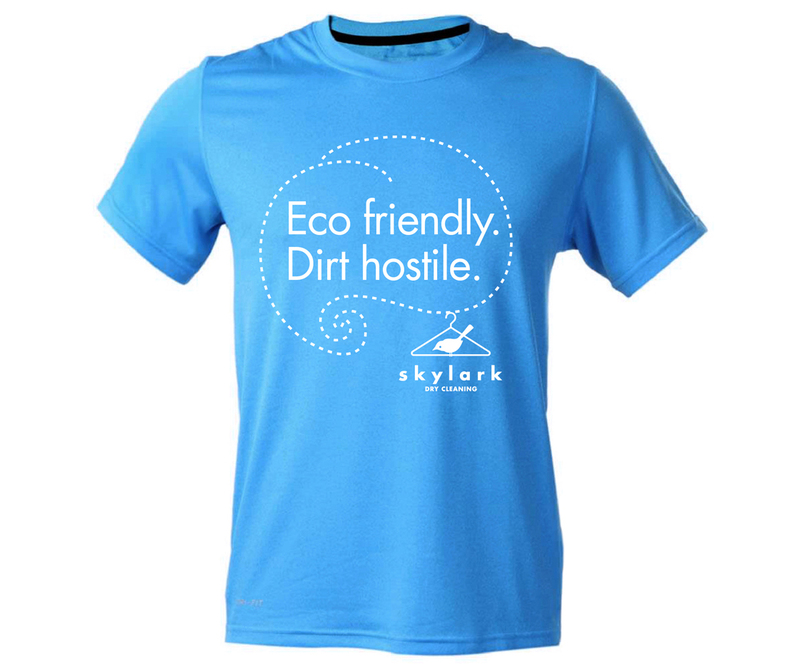 The Skylark logo communicates both the nature of the business and the tone of the brand. 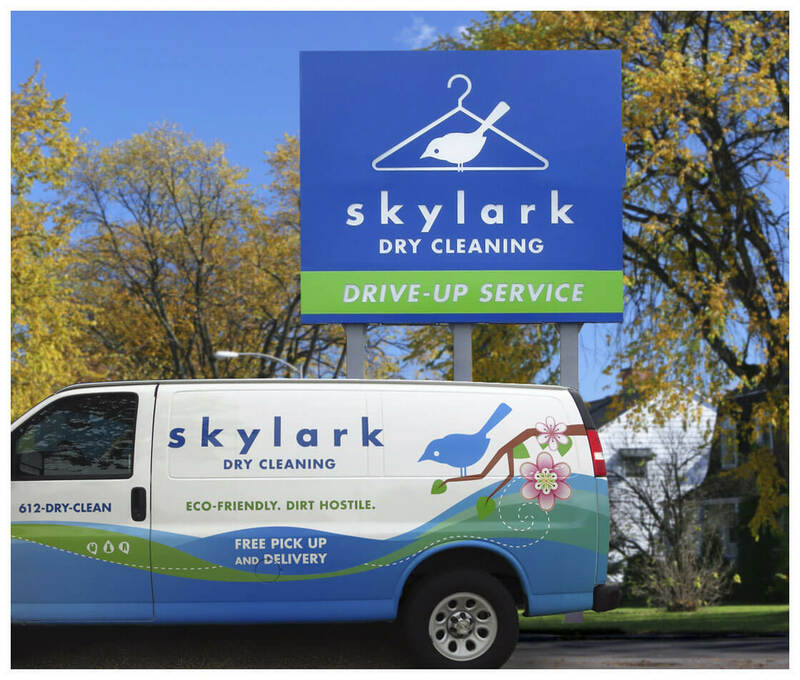 Our goal for the Skylark signage was to make customers feel refreshed and relaxed whenever they saw it. Rolling billboards for Skylark, the company’s growing fleet of fans regularly draw compliments from motorists and customers. With large windows and a vividly painted interior, Skylark’s entire storefront becomes a sign. 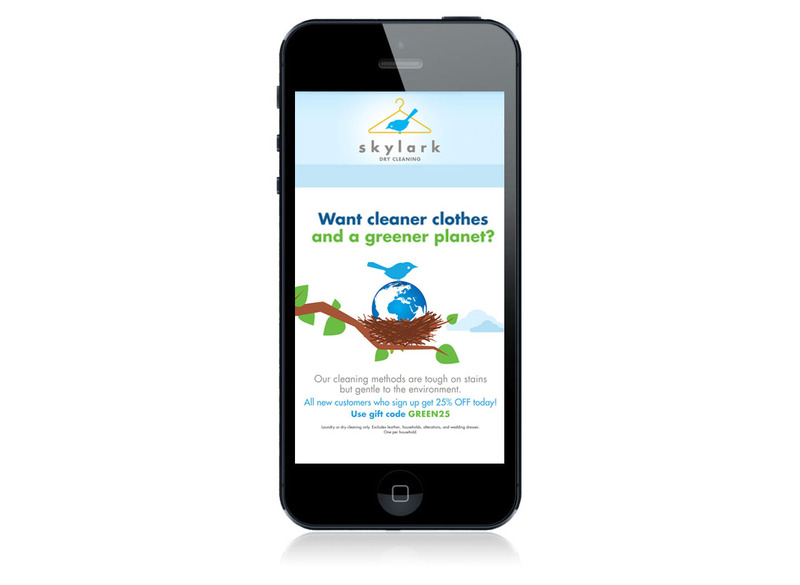 Most of Skylark’s customers use its free pickup and delivery service. Items are placed in an individually tagged bag, which is returned along with the cleaned garments. 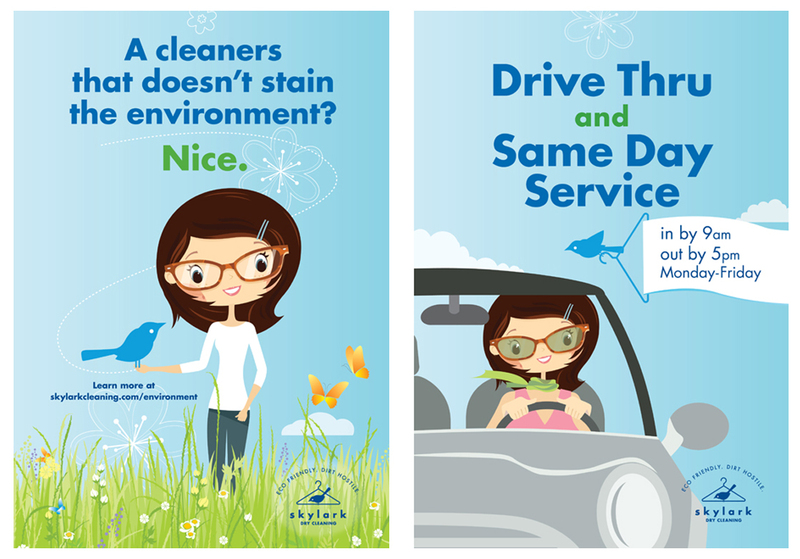 Skylark posters stress simplicity and freshness. Supervox created a series of notecards that could be attached to hangers in order to call customers’ attention to specific issues. 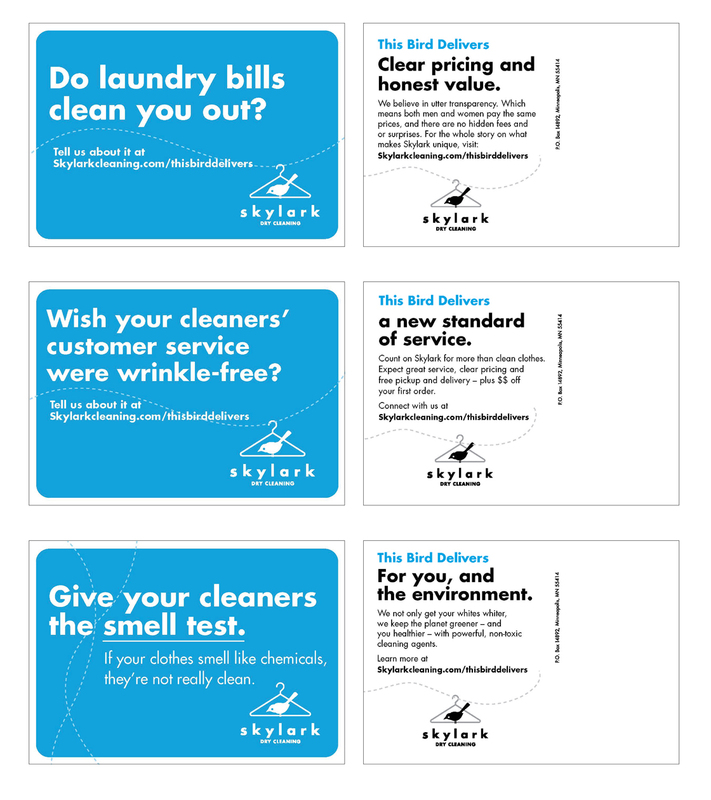 Skylark makes effective use of direct mail to get the message out. For a dry cleaning pickup and delivery service, door clingers are a must. The Skylark website details the services the company provides, educates customers on the industry, and enables users of the pickup and delivery service to check order status. What’s impressed us about Supervox is that they combine the comprehensiveness of a larger firm with the entrepreneurial scrappiness of a start-up. They helped us launch our business, armed us with everything we needed to be successful, and have continued to be our trusted advisor and partner as we’ve grown and grown. We constantly get compliments on their work, from customers, designers, and even from competitors! Also, I need to mention that beyond being great at what they do, these people are actually nice – a big, big plus indeed.